This new can & bottle drink merchandiser offers 10 selections of your customers’ favorite national brand canned and bottled beverages. The BC10 vends most beverage containers on the market including twelve ounce cans, twenty and twenty four ounce bottles, and even sixteen ounce bottled water. A bright eye catching back-lit graphic sign and lighted product display draws in the customers. 72" H x 32.25" W x 33.25" D, Shipping Weight - 575 Lbs. 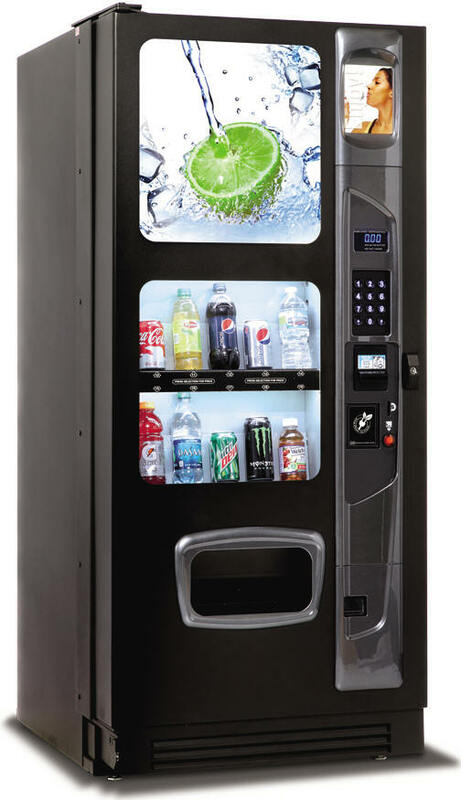 Up to 5-year term financing is available for this vending machine! To get a price quote including delivery in your area, CLICK HERE.